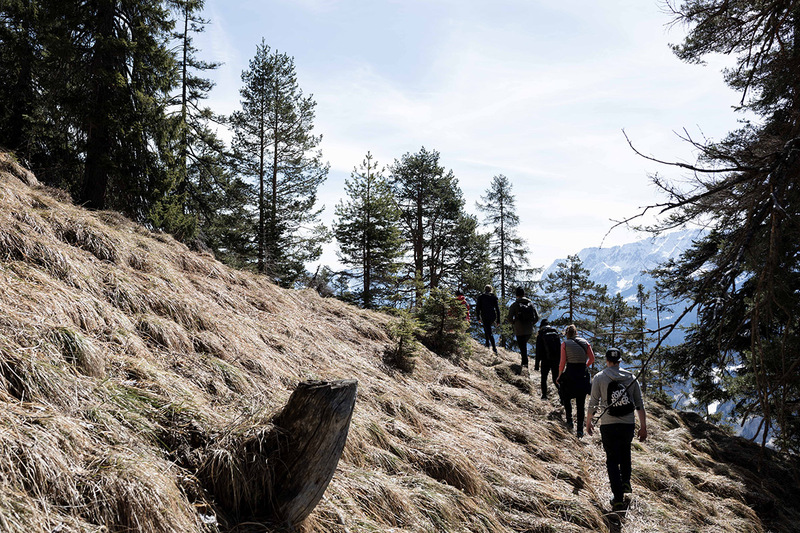 To coincide with the release of their new SS18 Outdoor Collection, the Swedish brand Peak Performance invites us to a Hiking Experience in Garmisch Partenkirchen. The location is no accident. 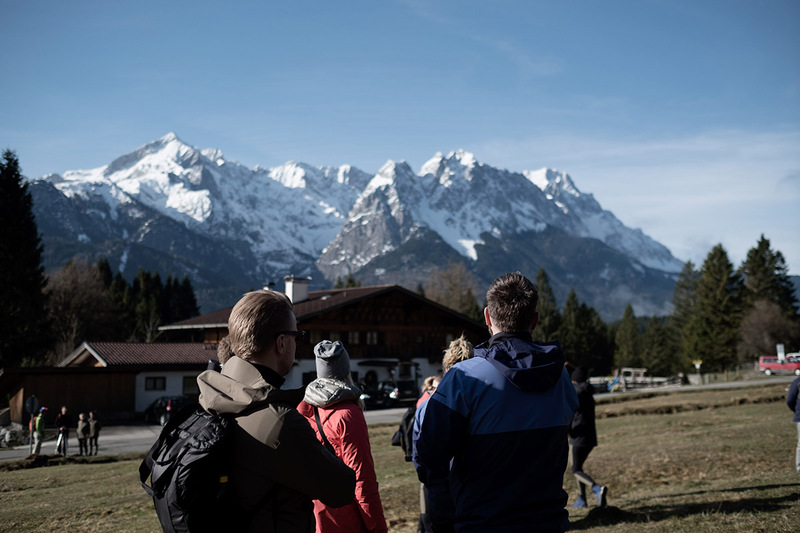 The collection release was accompanied by the launch of an impressive outdoor film from the ‘This is Peak Performance’ series, which was filmed near Garmisch, and demonstrated again how well the brand harmonises an urban look with high performance properties. Though the SS18 Outdoor Collection was designed for use in nature, it can just as well be combined with sneakers for city wear. But let’s not get ahead of ourselves. 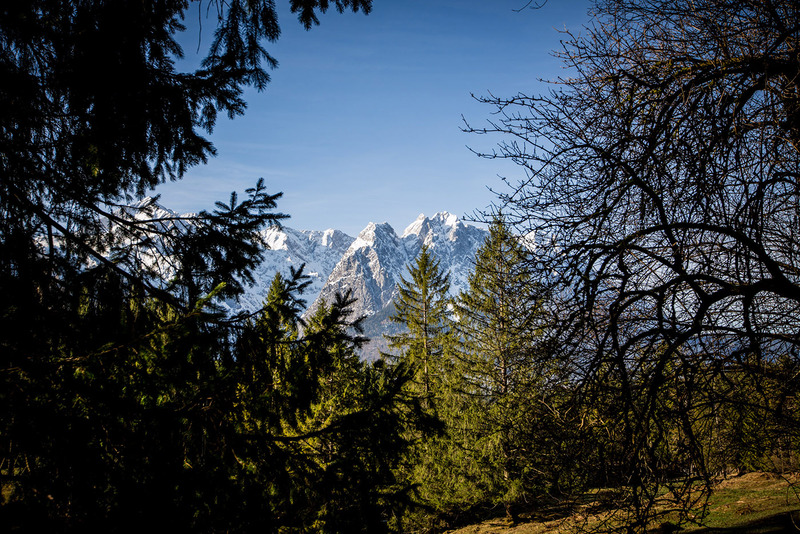 The Peak Performance Hiking Experience started at Gore in Feldkirchen, southeast from Munich. 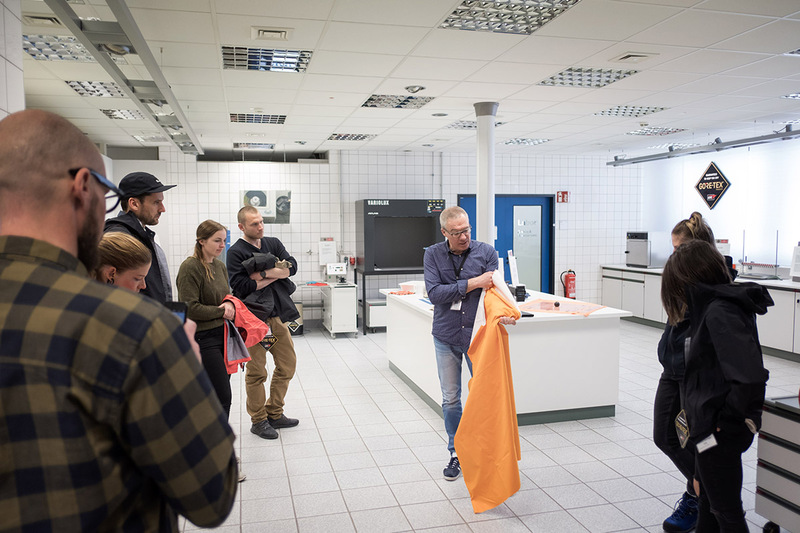 A key piece of the Peak Performance Outdoor Collection is the Mondo Jacket, made from Gore-Tex® C-knit material, so it made sense to take a closer look at this miracle material in the Gore-Tex laboratories. In the labs, all fabrics and materials are put thoroughly through their paces before moving to production. 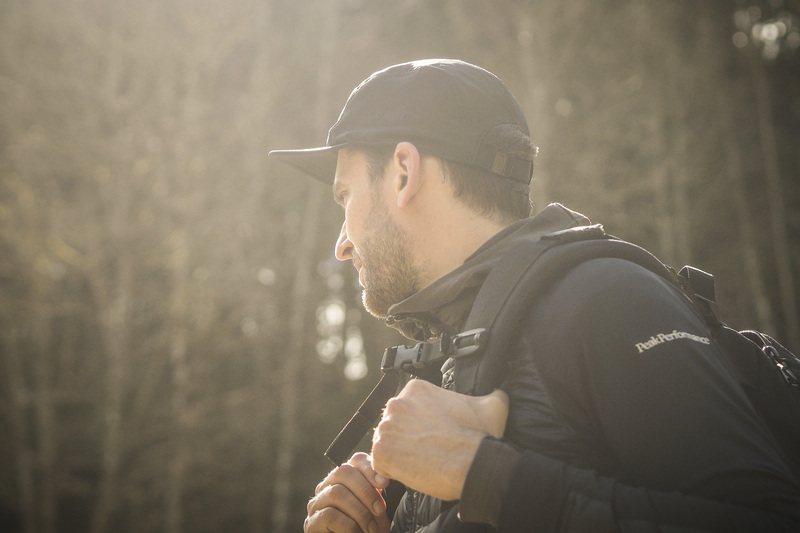 Durability, consistency of colour and shape, as well as the specific characteristics of the material (such as water-repellency, breathability, wind protection), are tested again and again until the Gore-Tex team give their final okay for production. 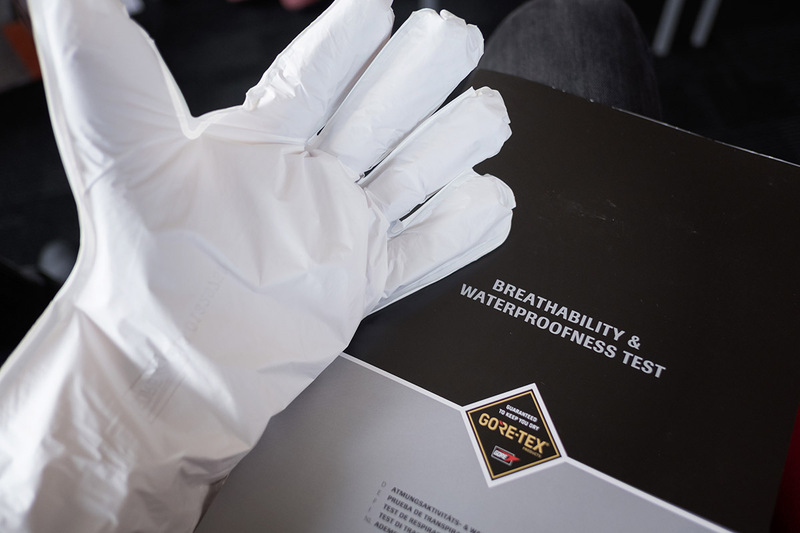 Before my visit to the labs, I had no idea just how high the standards were that Gore-Tex demands of all their partners. 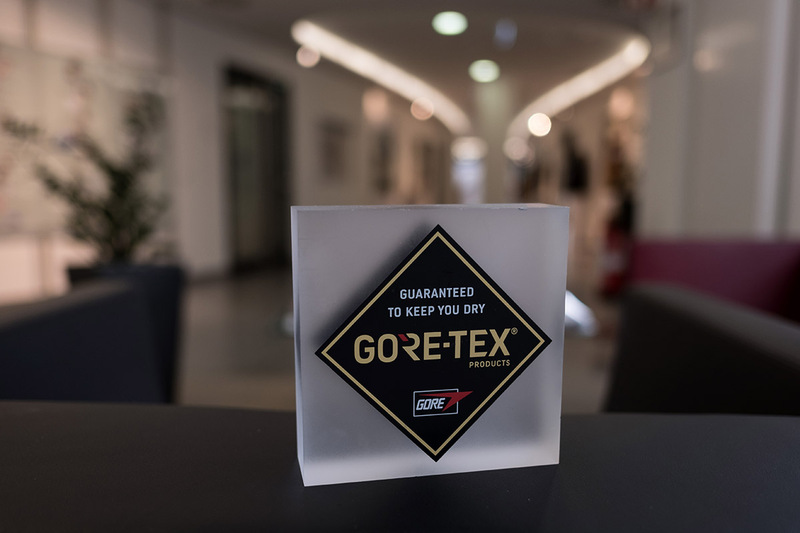 Seeing as Gore-Tex offer a life-long guarantee on all their products, even when they are not the actual manufacturer of the product itself, just the material, requiring the highest of standards makes absolute sense. Only in this way can they ensure only premium products display the Gore-Tex seal. A highlight of the visit was the Rain Tower, a 6-metre high tower for simulating actual rainy weather. Luckily, it was only a brief stop for us; mannequins wearing the test products have to spend many hours inside. Then it was time to continue towards the mountains. 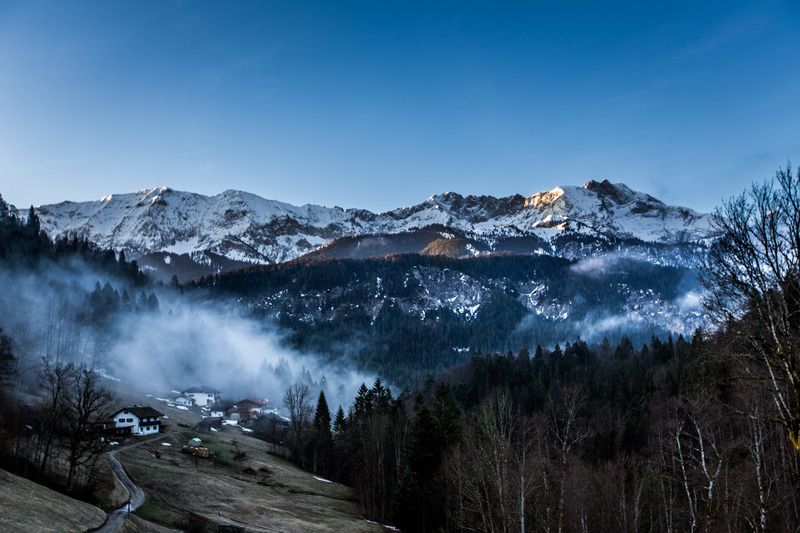 On the horizon we could already see panorama outline of the Alps, and for me, as someone who lives far away from any such mountains, just the sight sends my heart racing and wakes my lust for adventure. 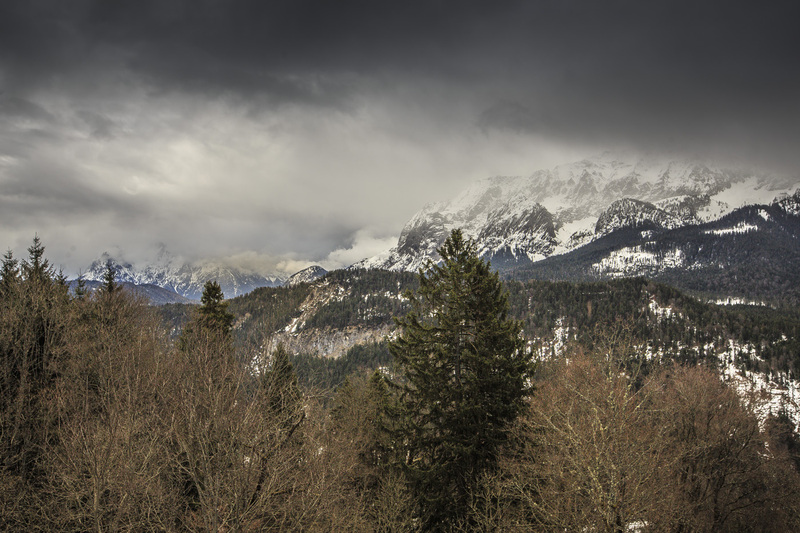 Our hotel was situated above the Partnach Gorge (unfortunately closed for maintenance works) and offered a superlative view of the snow covered Karwendel mountains, rising out of the clouds. I still remember when I was young, spending my autumn holidays each year in Switzerland. Setting out early each day on the day’s hike and returning after dark, singing hiking songs along the way. I remember creeks which we could drink from, picnics with Swiss chocolate, and that satisfying feeling of taking off my hiking boots at the end of a long day. It was these holidays that deepened my love of nature and awakened my passion for the great outdoors. We started early on the first hiking day. The weather report had forecast rain, confirmed by a quick look out the window. 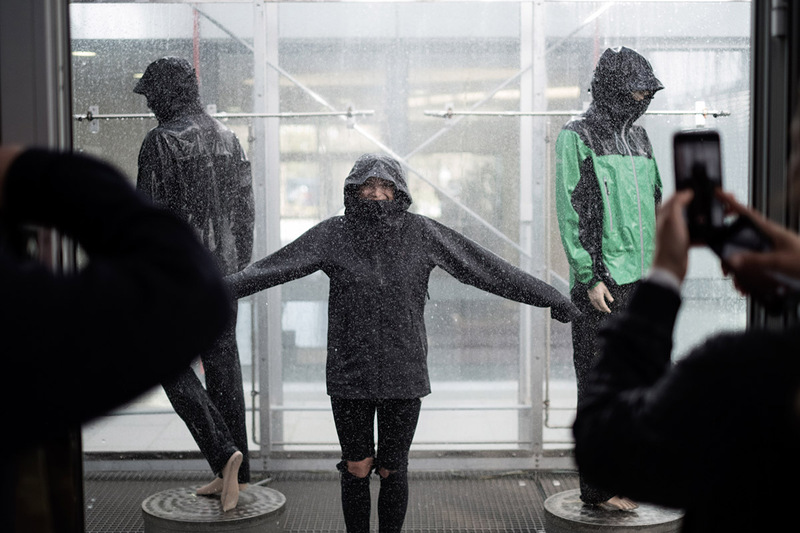 Secretly I had been hoping for bad weather, the best conditions to really test the properties of functional clothing like the Mondo Jacket. Additionally, I was wearing the Helium Hybrid Liner as insulating layer and the Track Tights. 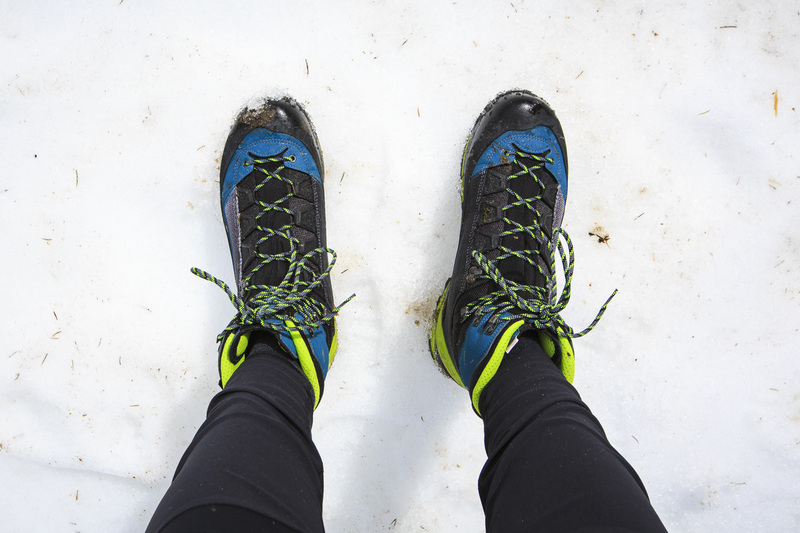 To be honest, it was an unusual feeling setting out on a hike in close-fitting pants. But the cut of the Track Tights ensured minimal rubbing and felt really comfortable. Plus they protected me from splashing water. Test passed! 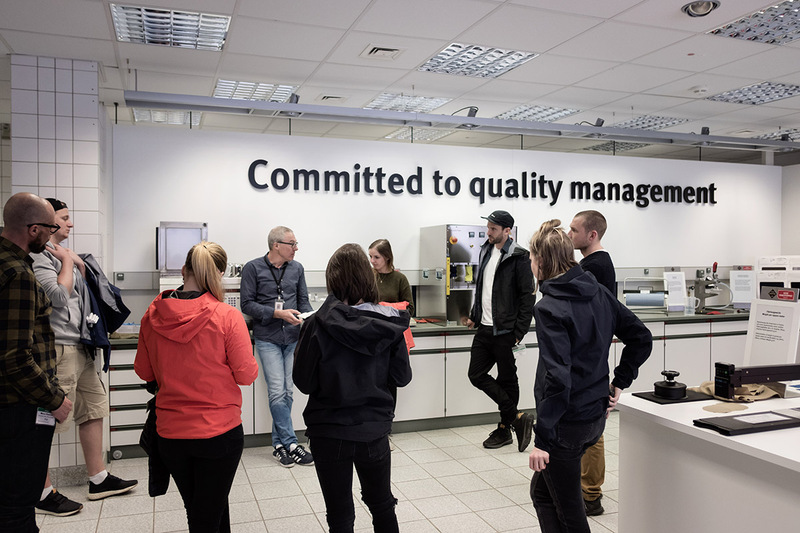 With many styles from the new collection, great emphasis has been placed on sustainability–the collection is almost completely PFC-free and in addition Peak Performance supports the RDS (Responsible Down Standard) requirements. Besides, the company uses consistently recycled polyester and organic cotton. 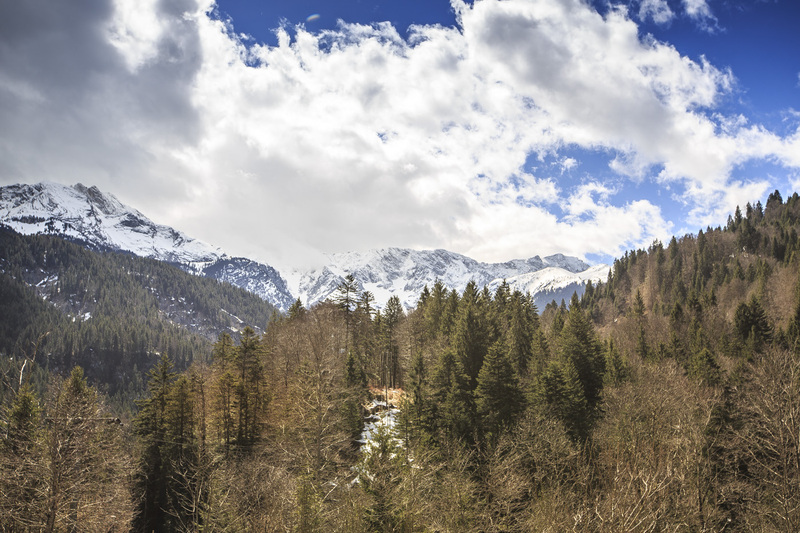 After a short detour across a bridge over the Partnach Gorge, we headed up the 1237m high Eckbauer mountain. A great hike for my rusty limbs: it’s been quite a while since the last time I took in the mountain air. From there it was down to the Olympic ski jump, then back up to the hotel, all in all a wonderful hike rounded off with a Functional Flow Yoga session back at the hotel. On the second, and unfortunately already last day, we looped around to St Martinshütte on Grasberg on the northern side of Garmisch. Under a cloudless sky with the stunning sunshine, it couldn’t have been more different to the rainy day before, and spring was in the air. 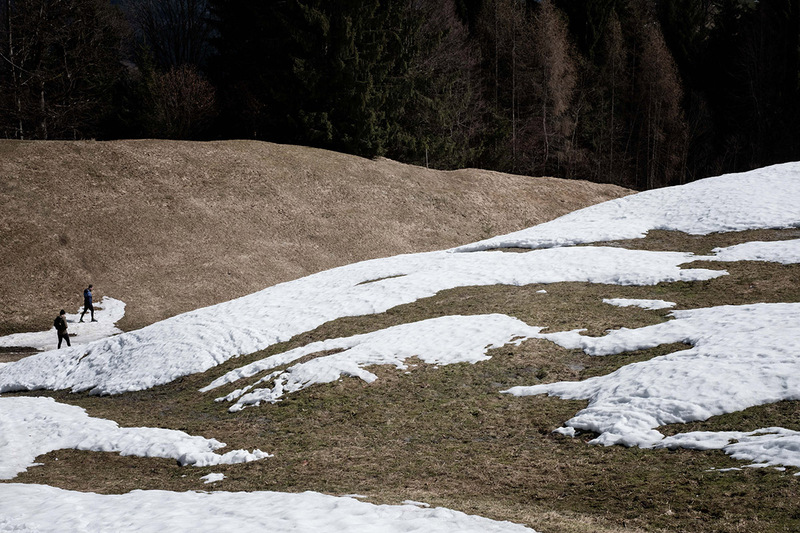 Still there was a lot of snow on the more remote paths that we were able to take thanks to our experienced mountain guides. For us, who were unfamiliar with the terrain, these areas were not without danger. Lucky for us, our guides had planned for everything including some abseiling action and climbing rope to get us safely down some steep and loose slopes. It was great fun and also a small adrenalin kick, and a further opportunity to test the functionality of the clothing. I could still feel the workout from yesterday’s hike in my muscles, but that didn’t stop me from enjoying every metre of this hike, and the views over the valley were breath-taking. 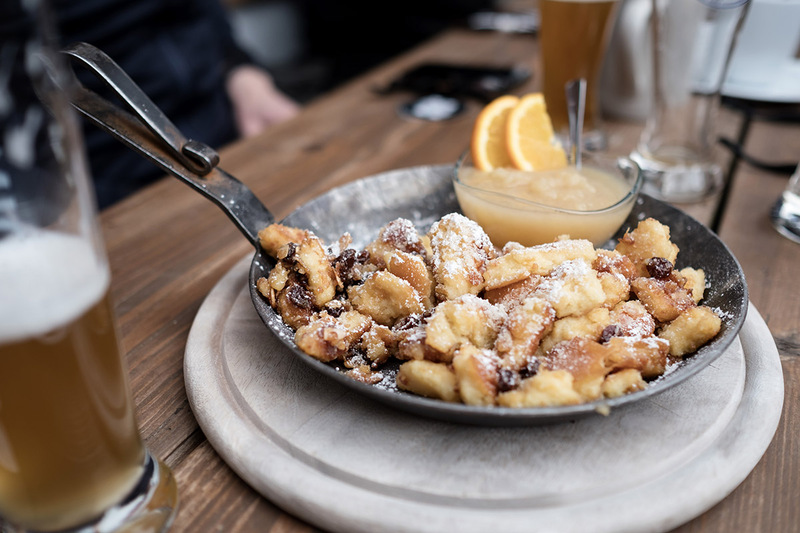 The fresh mountain air and the friendly conversations with my companions on the Hiking Experience only added to our enjoyment, and it all made the sparkling blackcurrant juice at St Martinshütte twice as satisfying and a deserved reward for our physical exertions. On the way back to Berlin, looking across the passing mountains, I suddenly fell into a heavy melancholy. The time in Bavaria with Peak Performance had been too good. I could have easily stayed another week, gone on more hikes. 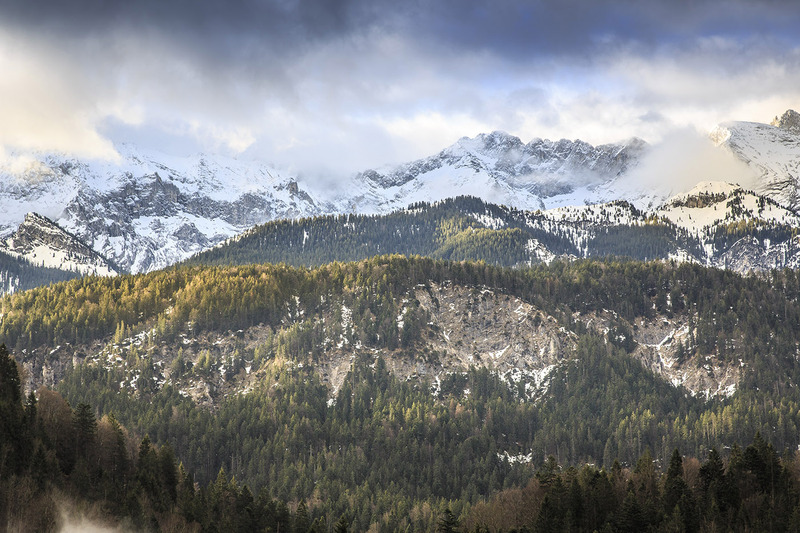 I had met people who I hope to stay in touch with, and Garmisch itself was not lacking in charm, despite its popularity with tourists. I comforted myself with the thought that I will be back. And why not? Hiking season just started! Right now, staring out my office window at the grey city, I can think of nothing better.